I did several commissioned sketches at the Stan Lee L.A. Comic-Con today. 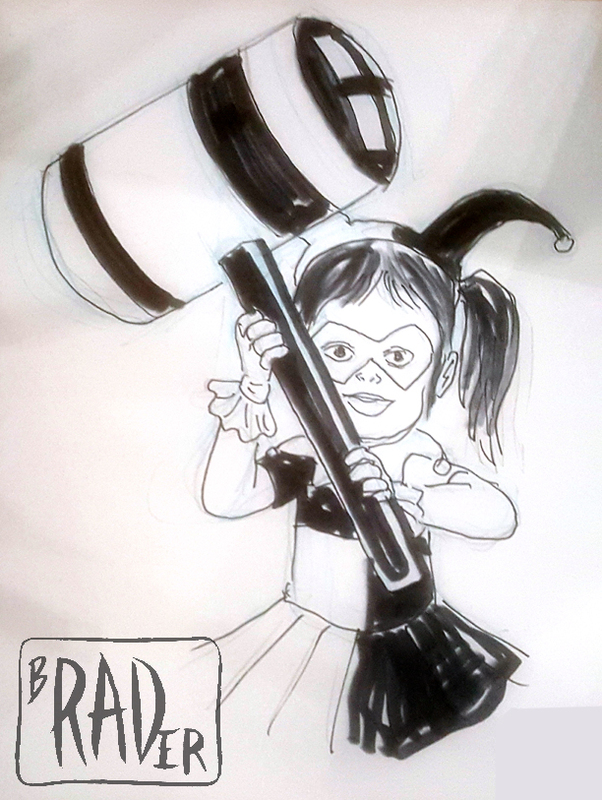 This was my first commission of the day; a father wanted a sketch of his 4 year old daughter, Scarlett, decked out as Harley Quinn, as originally envisioned by Bruce Timm for the Batman Animated TV Series. She was super cute, but couldn’t seem to hold still. Dad said he’d been getting sketches of Harley at conventions since she was 2 years old.